There are lots of things to consider when it comes to choosing your wedding food. Do you want to stick to something formal and traditional, or would you prefer to have catering that is unique and original? Perhaps you love the idea of a fun and informal buffet? Do you have your heart set on a sit-down meal? Don’t forget about whether or not you need to feed your evening guests too! We suggest writing down a list of questions to ask a selection of wedding caterers so that you have a good idea of what you can expect for your own celebration. 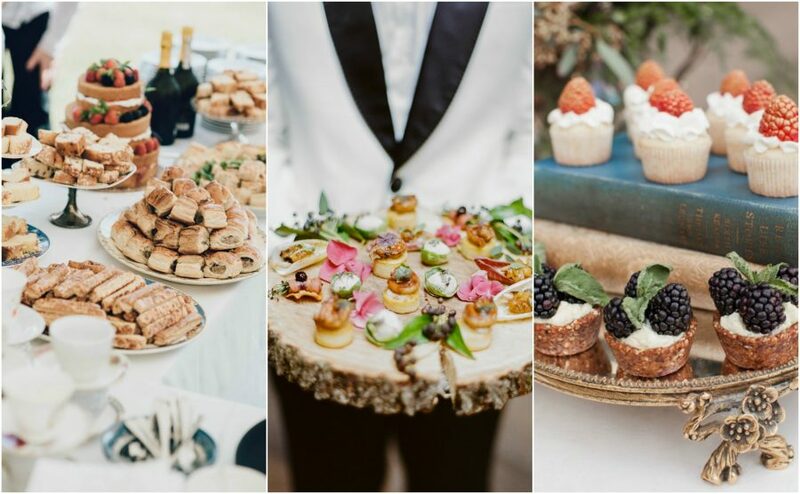 Wedding food stations are a fabulous excuse to showcase your personality and individual style, plus they’re a little different from the norm which is always guaranteed to win over your guests. Lots of couples are opting for mezze-style buffets, BBQs, self-serve pizza tables and even scrumptious street food trucks. If you’re considering an outdoor Summer soiree in a marquee, why not create a picnic-themed wedding food station? You could serve an appetising assortment of pies, bread, jams and meats for your guests to help themselves to. If you wanted to add a vintage vibe, why not make it an afternoon tea instead? Scones and clotted cream always go down well at an English country garden affair! Think about unusual ways to display your wedding catering too. From wooden tree slices, vintage plates and even wooden barrels, there are so many fun ideas out there that can help contribute to your wedding theme. Let’s not forget about those with a sweet tooth. 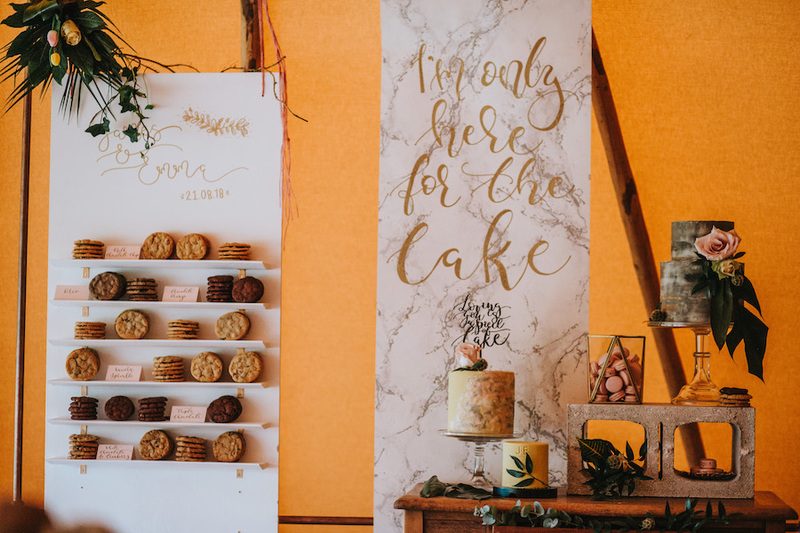 While we adore a traditional wedding dessert table bursting with delicious delights, lots of couples are now creating popcorn bars, donut walls and even marshmallow stations! Not only will your guests appreciate the tasty treats, they can double-up as wedding favours in the evening. Don’t forget to take a look at our little black book of wedding suppliers where we have listed some of the best caterers in the area! Their menus are bursting with foods and desserts that will tantalise your taste buds. Get creative and wow all of your wedding guests at your big day! If you’re looking for even more unforgettable wedding ideas, head straight over to the Pynes House blog here.